Bill Buckmaster has interviewed more than five thousand newsmakers and has earned the reputation as Tucson’s most trusted voice for news and information. Beginning his career in 1969, he edited three monthly trade magazines based in Phoenix and went on to serve as a broadcast editor for the Associated Press. Buckmaster moved on to news director spots in Sierra Vista, Arizona, Visalia, California, and Las Vegas, Nevada. He quickly became a fixture with television anchor positions at KICU-TV, San Jose-San Francisco and at KUAT-TV, PBS-Tucson. As the driving force behind KUAT-TV’s “Arizona Illustrated,” the iconic Arizona PBS news and public affairs program, Buckmaster created the broadcast “town square” for the issues that matter most to Southern Arizona residents. His dedication to the community has not gone unnoticed. 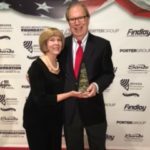 The Tucson Chapter of the American Advertising Federation named Bill its 2011 Golden Mic Award Recipient. In 2010, the Pima County Sheriff’s Department presented Bill with its highest civilian honor, The Citizen Medal. Over the past two decades, he has earned five individual Emmy Award nominations, the coveted Silver Circle Lifetime Achievement Award from the National Academy of Television Arts and Sciences, an Alzheimer’s Disease Awareness Achievement Award, and a best of Tucson award from Tucson Lifestyle Magazine. Another welcomed honor was Bill Buckmaster’s name on an asteroid—only one other broadcaster has had such an honor, the legendary Walter Cronkite. 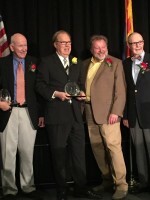 Bill Buckmaster was inducted into the Arizona Broadcasters Hall of Fame in 2015. In 2010, Bill formed Bill Buckmaster Communications, L.L.C., which produces the Buckmaster Show. In 2015, Bill was inducted into the Arizona Broadcasters Hall of Fame by the Arizona Broadcasters Association. Also in 2015, The Tucson Weekly named Bill Tucson’s Best Radio Talk Show Host. In August of 2016, Bill was inducted into the Nevada Broadcast Hall of Fame by the Nevada Broadcasters Association honoring his radio news reporting in Las Vegas in the 1970’s. Bill is a graduate of the University of Arizona and earned his Master of Education degree from the University of Nevada, Las Vegas. Bill has an Honorable Discharge from the United States Army. 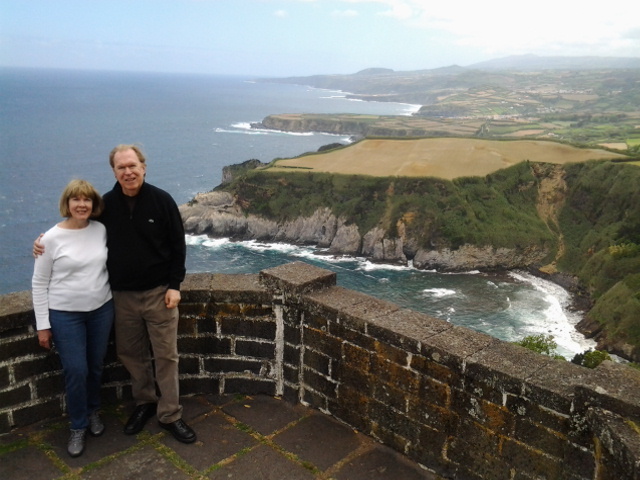 Bill and Ann on the North coast of São Miguel, Azores. Bill and his wife Ann have been married for 44 years and together they have traveled the world, visiting 100 countries, all 50 states and most of Canada’s provinces. Along the way, they have collected memories, experiences, and a better understanding of the world.